Two days after getting a lift back to where we left the trail, I am very happy to report that my new shoes have done the job! 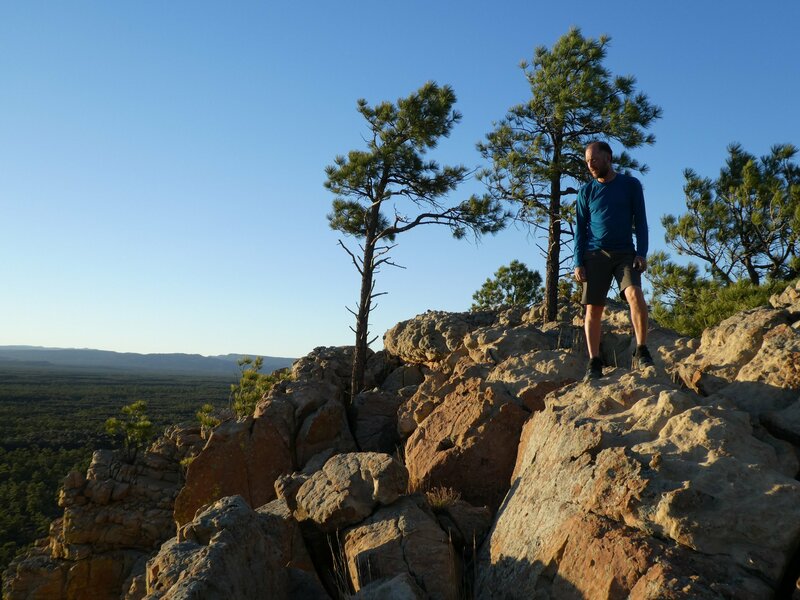 I can hike, I can carry a fully loaded rucksack, and although we have hiked over some seriously rough terrain, the discomfort from my still- somewhat-swollen toe joint is manageable. To say we’re relieved to be back on trail would be a massive understatement! So on Friday, after my new shoes finally arrived by post from REI (men’s size 8 in a wide fitting, just about wide enough for my right foot), we headed back to the South Narrows picnic area, where we’d left the trail last week. 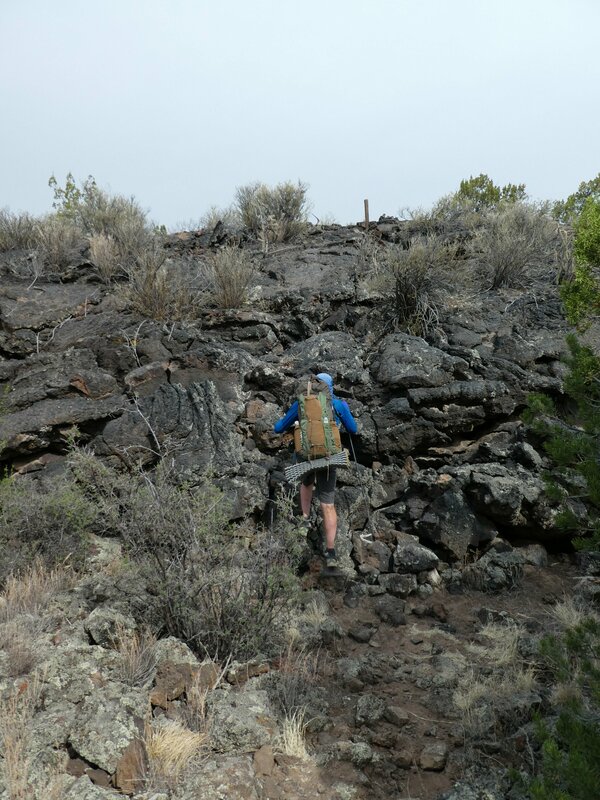 Hugo Mumm, the local trail angel who took us out there, strongly recommended we do the Rim Trail – a 5 mile trail along the edge of a sandstone cliffs overlooking a large lava field. So after cooking dinner in the picnic area, we slowly and carefully made our way uphill onto the rim. 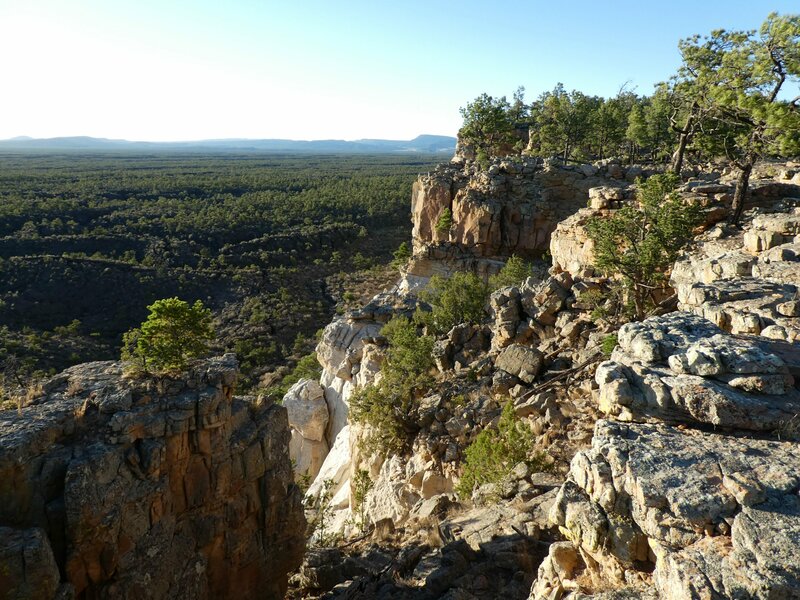 It was an amazingly beautiful place, with the evening sunlight slanting in between the stunted gnarly pines, highlighting the warm colours of the rock. After a mile or two we came to a sandy basin surrounded by rocks and trees, and rather than put up our tent on such a warm night, we just laid out our mats and sleeping bags and slept under the moonlit sky. The next morning we made an early start at 5.15, in expectation of yet another hot and cloudless day. But a beautiful red sunrise gave way to a cloudy grey day – not the best for photography, but a godsend for easier hiking! 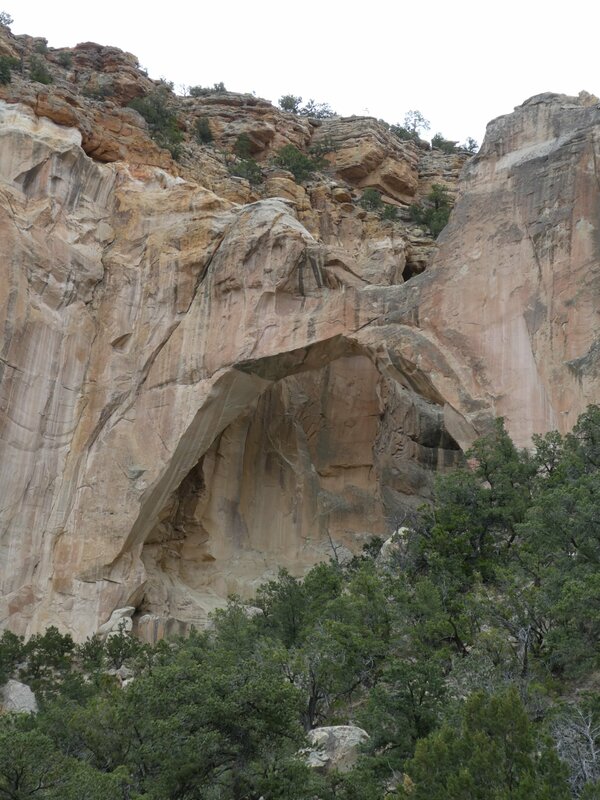 We continued along the Rim Trail until a very tough, very steep descent path took us past La Ventana Arch, a spectacular rock arch. 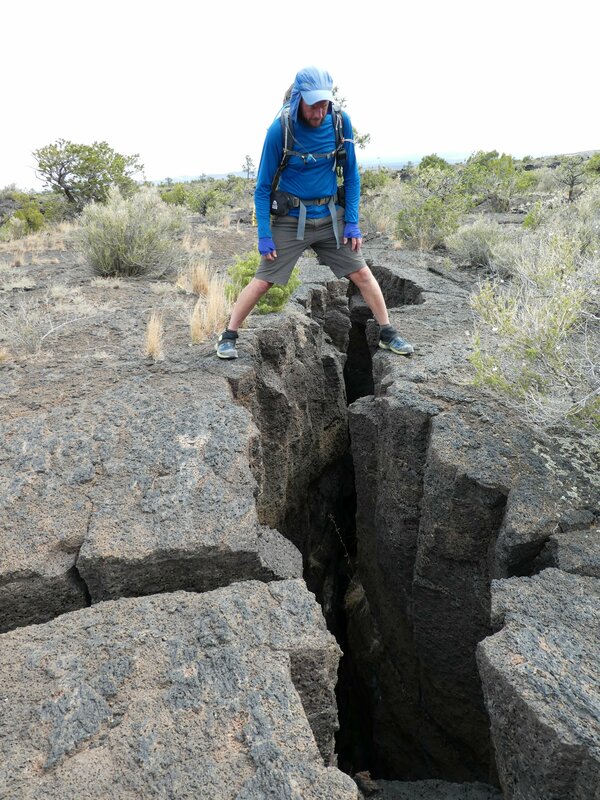 A couple of miles of roadwalking and we reached the start of the Zuni-Acoma Trail, a cairned route across a huge lava field. This is notoriously rough going, a tumultuous mass of craters, domes, ridges and crevasses, and we picked our way slowly across the black bubbly rock from cairn to cairn, thanking the weather gods for sending a good cloud layer to keep the sun off us! 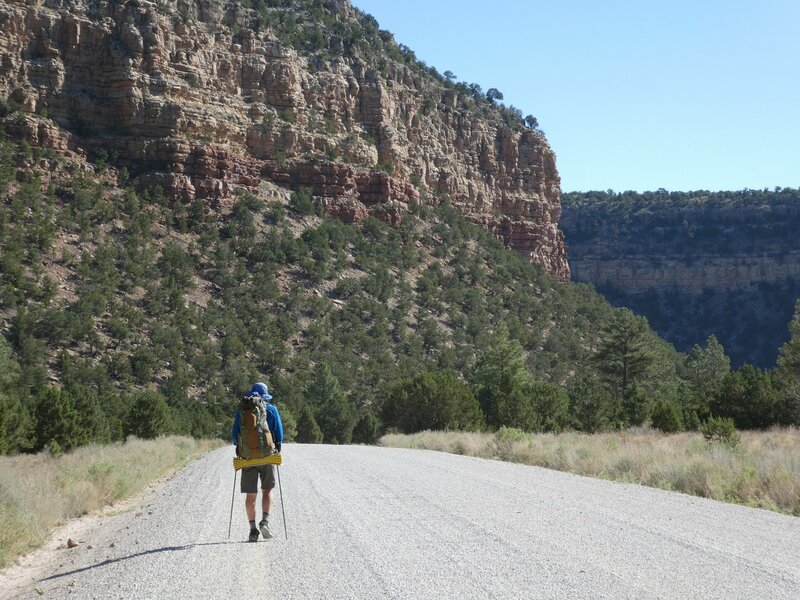 After 7 miles of this we were relieved to get onto the dirt road along Bonita Canyon. We made swift progress along this before camping after a daily total of about 26 miles. This left just another 13 miles of roadwalking to go today before arriving back in Grants – and we’re very happy to be here! Tomorrow we head out of town again, going north to Mt Taylor then to the town of Cuba in about 4 days time. 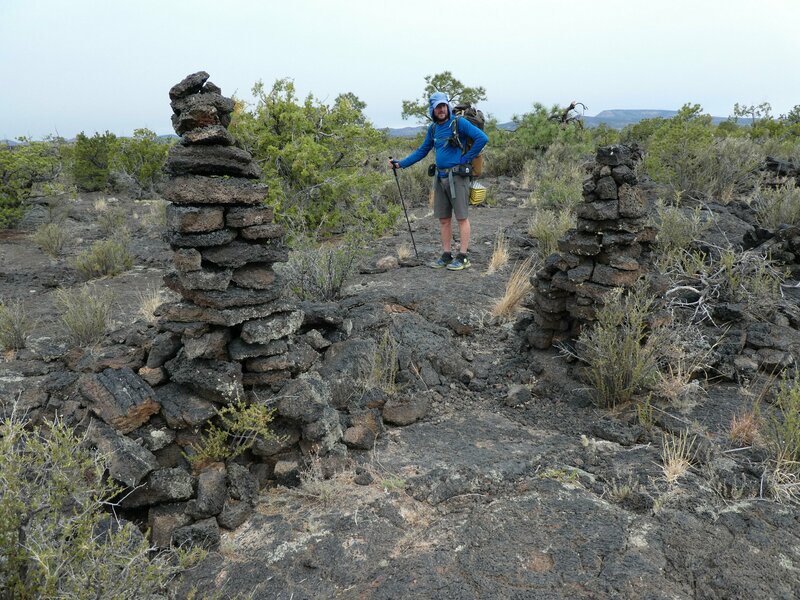 Not all the waymarking cairns were this big! Holy crap, you beat me to it! I’m so envious. I’m slogging along the trails back in the Old World myself. It’s the 5000 miles E1 from Italy to Norway this time. Gail and I did the Arctic section as part of our Norway end to end hike a couple of years ago, and now I’ve reached beautiful Sweden after completing the continental part in the spring. After a real cold spring May brought a heat wave, nothing like what you are dealing with but in Scandinavian terms record breaking temperatures. I hope your foot is back in business, Tanya. Keep on churning out those miles! great to see you guys are underway again. brill photos, loving the blog. looks so much tougher than the pct, in the fact the path seems to be harder to walk on. Brilliant you are both walking again. 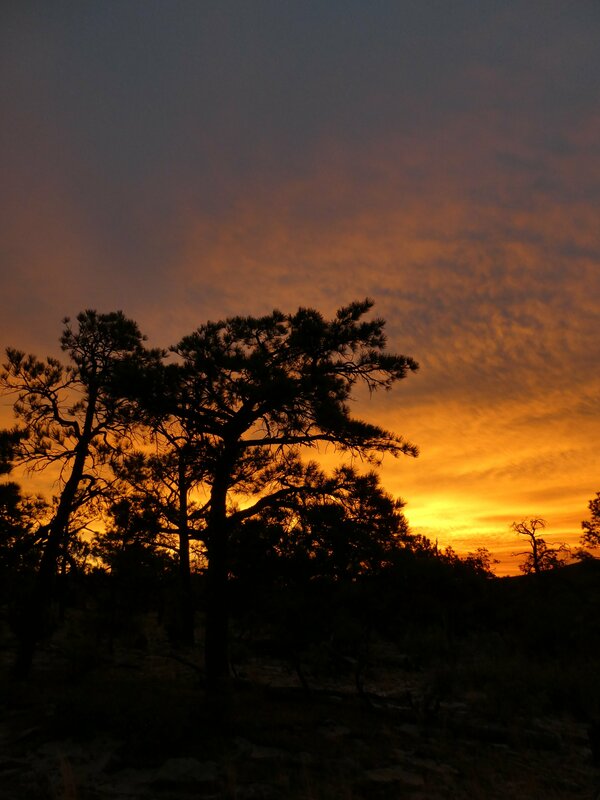 Did Hugo mention about the road south of the Zuni trail is a hot spot for drug planes landing at dusk. 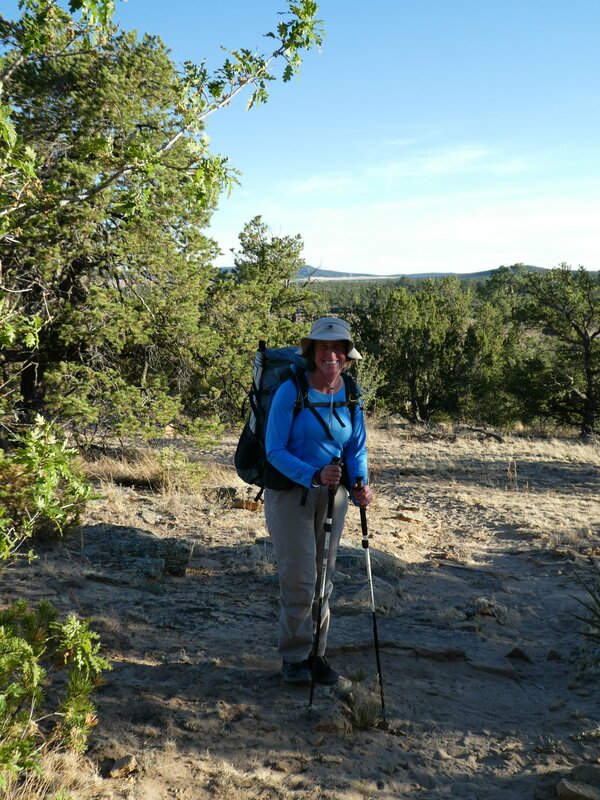 It’s fun on the Zuni lava path, unfortunately I crossed looking into the sun and it was fun trying stopped locate the cairns. I camped near the restroom and small carpark. Great sections next for you to Cuba. You are both doing great. How did the cavers resist not going into the lava cracks? 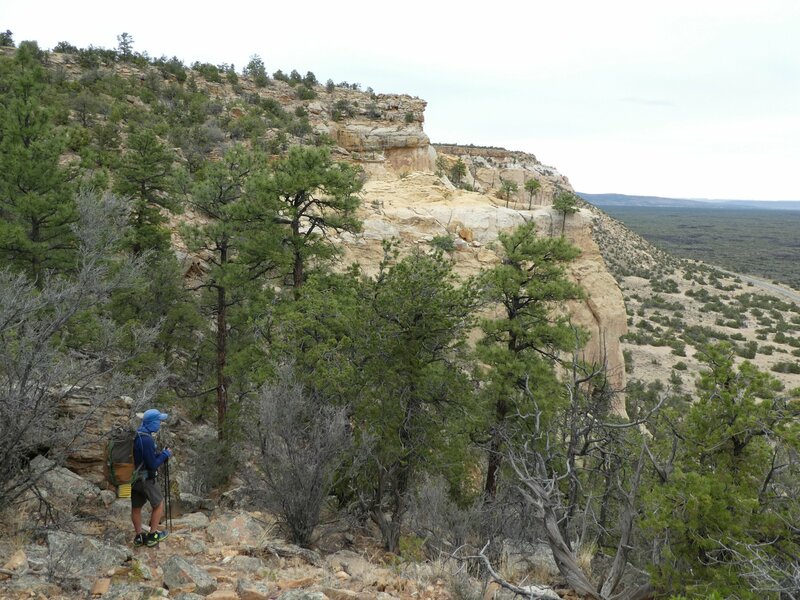 Crossing the “El Malpais”, badlands was a really interesting 7 mile section. Very different than the lava fields experienced on the PCT. Not much evidence of any extensive underground passages or tubes, I suspect everything got thrust up and twisted and is too close to the surface. I have been told that the really big tubes are higher up on the mountain and there is a 18 mile long underground section. Maybe need to be on the ‘Chain of Crators’ route to see them.